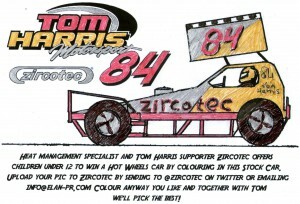 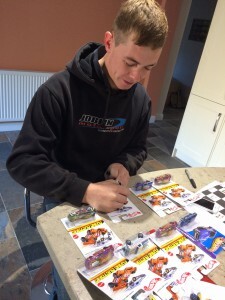 Heat Management specialist and Tom Harris supporter, Zircotec, offered children under 12 the opportunity to win a ‘Hot Wheels Car’ by colouring a sketch of Tom’s No.84 Stock Car. 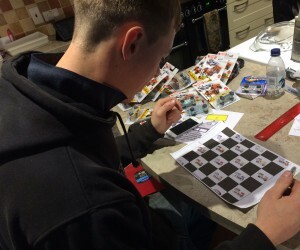 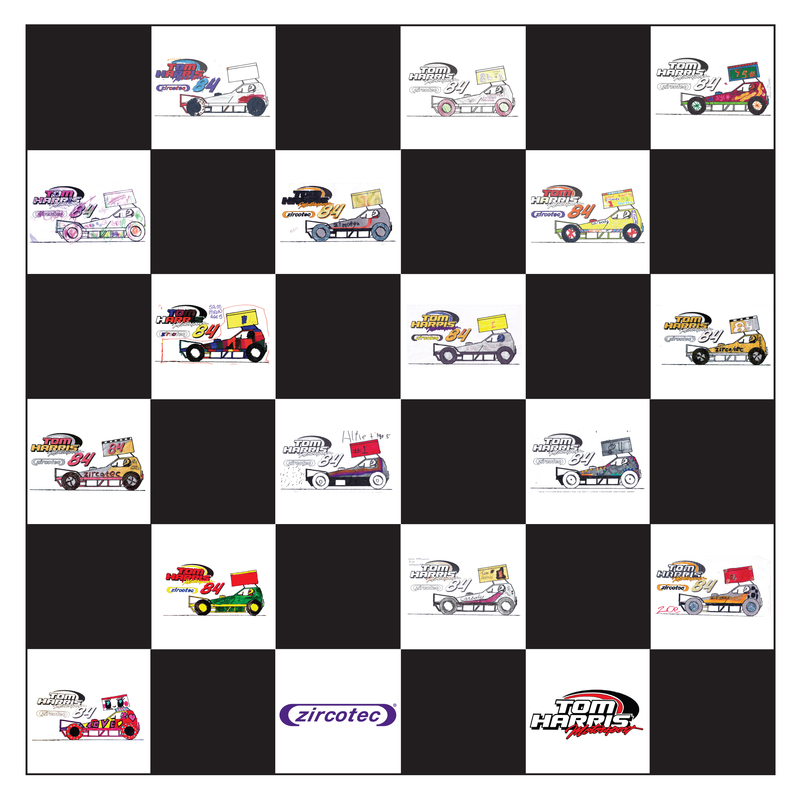 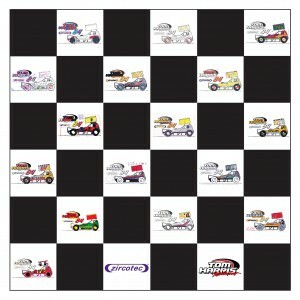 Tom’s selection of the top 16 entries were included in the ‘chequered flag’ and we have wonderful images of some of the contestants with their entries. Tom, Zircotec and Elan PR would like to thank everyone who took part. The standard of colouring from all ages was great and everyone involved got a lot of pleasure from reviewing the entries. 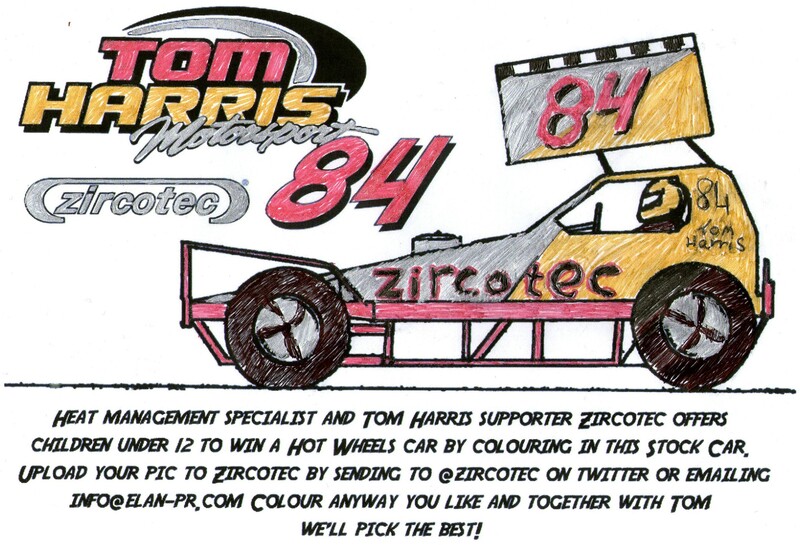 Thanks a lot young BrISCA F1 Fans! 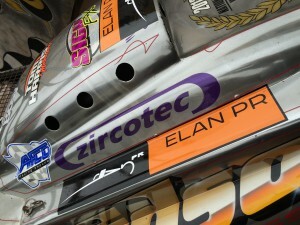 Keep supporting!